For the most part, this is extremely exciting news. The only question we really have is, “What about Google Wallet?” For now, it looks like that service will be exclusive to Sprint while the other three carriers have formed their own massive payment system. We should also point out that Isis was the first to ink deals with all four major credit card companies, something Wallet is just now locking down. I would love nothing more than to have the opportunity to ditch my wallet on a regular basis. Give us NFC in the Galaxy Nexus and let’s make this mobile payment revolution happen! New York – Sept. 27, 2011 – Isis, the joint venture between AT&T Mobility, T-Mobile USA and Verizon Wireless, announced today that HTC, LG, Motorola Mobility, RIM, Samsung Mobile and Sony Ericsson will introduce NFC-enabled mobile devices that implement Isis’ NFC and technology standards. For consumers who have or purchase smartphones that are not NFC-enabled, Isis is working with DeviceFidelity to add NFC functionality to the mobile device, ensuring a wide range of consumer choice. The joint venture is between AT&T Mobility LLC, T-Mobile USA and Verizon Wireless and is based in New York City. The venture is chartered with building ISIS™, a national mobile commerce platform that will fundamentally transform how people shop, pay and save. 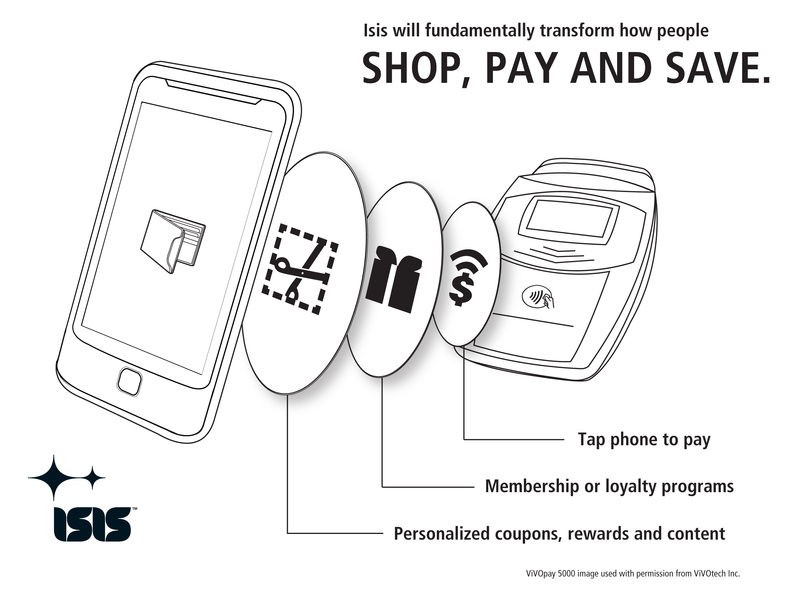 The Isis mobile commerce platform will be available to all merchants, banks and mobile carriers. Isis is a trademark of JVL Ventures, LLC in the U.S. and/or other countries. Other logos, product and company names mentioned herein may be the trademarks of their respective owners.